. Dawson MA, Prinjha RK, Dittmann A, Giotopoulos G, Bantscheff M, Chan WI, Robson SC, Chung CW, Hopf C, Savitski MM, Huthmacher C, Gudgin E, Lugo D, Beinke S, Chapman TD, Roberts EJ, Soden PE, Auger KR, Mirguet O, Doehner K, Delwel R, Burnett AK, Jeffrey P, Drewes G, Lee K, Huntly BJ, Kouzarides T. Inhibition of BET recruitment to chromatin as an effective treatment for MLL-fusion leukaemia. Nature. 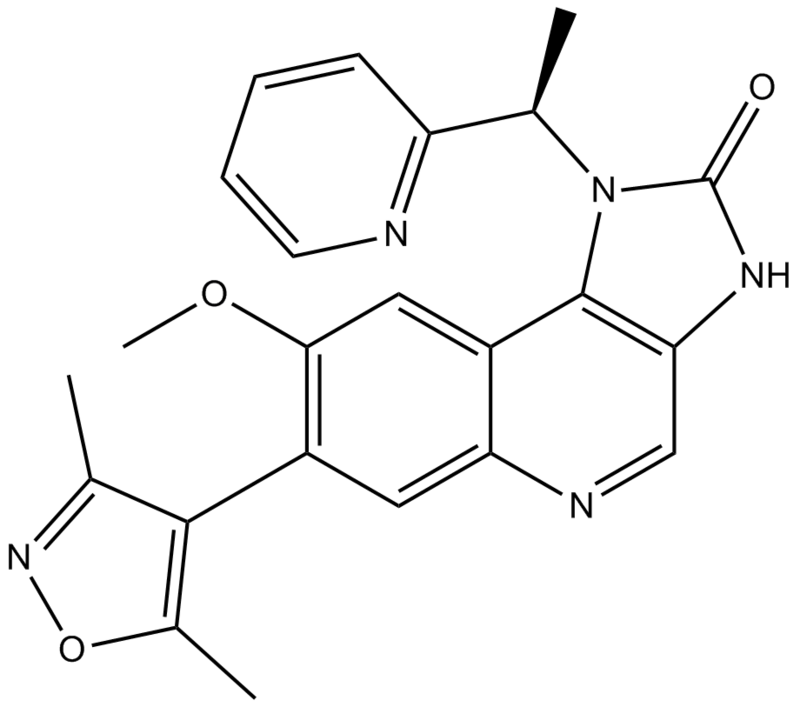 2011 Oct 2;478(7370):529-33.
. Seal, J., et al., Identification of a novel series of BET family bromodomain inhibitors: binding mode and profile of I-BET151 (GSK1210151A). Bioorg Med Chem Lett, 2012. 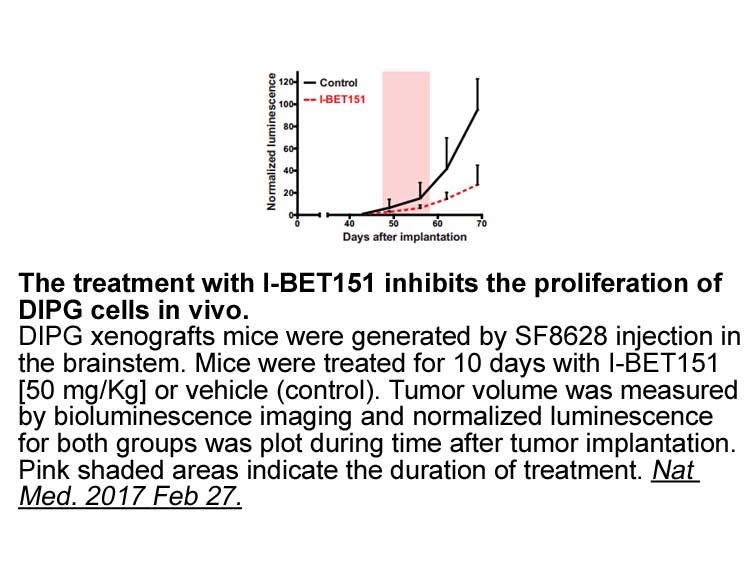 22(8): p. 2968-72.
. Chaidos, A., et al., Potent antimyeloma activity of the novel bromodomain inhibitors I-BET151 and I-BET762. Blood, 2014. 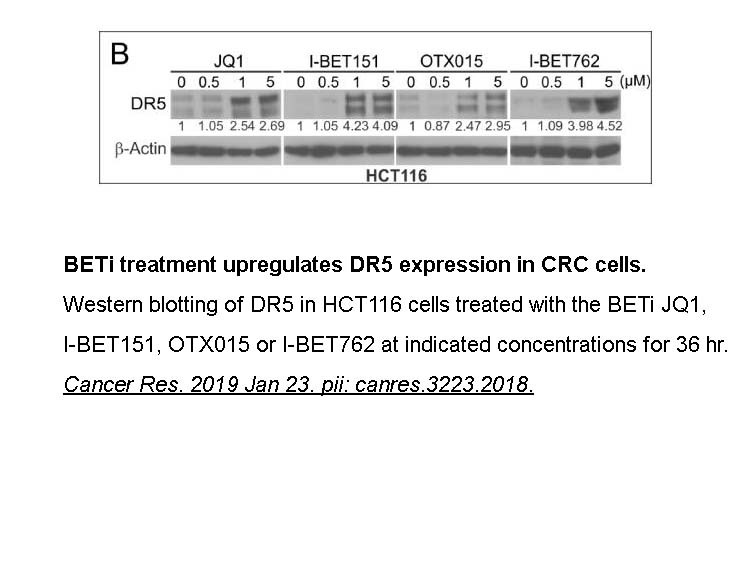 123(5): p. 697-705.
. Chan, C.H., et al., BET bromodomain inhibition suppresses transcriptional responses to cytokine-Jak-STAT signaling in a gene-specific manner in human monocytes. Eur J Immunol, 2015. 45(1): p. 287-97.